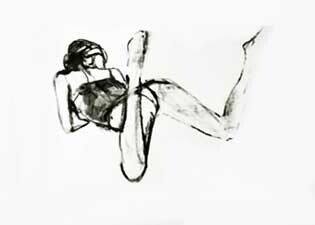 Doing speed drawings can be useful for the study phase as well as for artistic experimentation. When doing speed drawings, the artist usually sets a certain goal for himself. For example, the goal can be understanding how to draw a certain detail, finding the right angle etc. 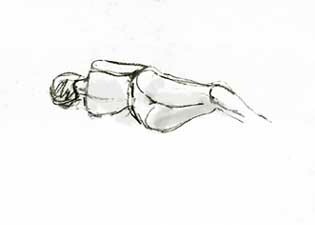 Another important aspect of speed drawing is giving freedom to the drawing hand. This may lead to new discoveries or new point of view on the subject drawn. 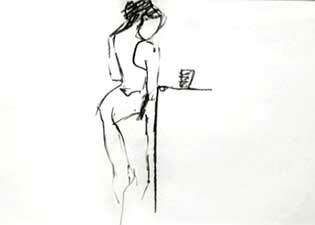 Speed drawing can be done from a live model as well as from imagination, both ways are useful. Speed drawing does not require a special setting, it can be done in a zoo, on the beach, on the street, at home etc. Speed drawings should be done quickly and in large quantity. The images below show sketches done during one session that lasted about 1 hour. Each one took about 1-2 minutes to do.